Forget what you know about deathcore and djent. 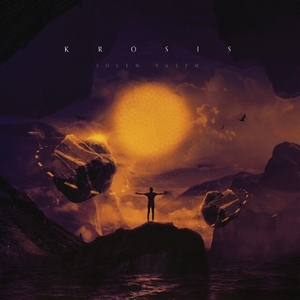 As clichéd as it might seem to say, Krosis have managed to do something that many bands of this style are unwilling to – think outside of the box. In fact, it’s detrimental to even lump the act into said genres, but since it’s the way of things nowadays, it’s as good a starting spot as any. Given Unique Leader’s hit or miss track record with non-tech death bands as of late, one would be forgiven for perhaps looking over this one with a quick glance. Thoroughly modern in tone, with an emphasis on somewhat djent-y and downtuned riffs and airy atmosphere may begin things with “Disclosure,” but the rather death metal-infused opening of “Melting Point” is enough to make you do a double-take. A few well-placed blastbeats and progressive noodling diverts the listener’s attention into a wider display of influences (note the trace cleans later as well). This seems to be the quintessence of what Krosis is all about – subverting expectations and surprising you with multiple turns along the way. The modern grooves are well and good, alongside the more progressive melodies, to make an enjoyable enough listen. But then the “Apathos” duo comes along and seems to take things to an even higher plane. Embracing a more cinematic scope, the next 13-minutes really run the gamut of modern sounds. From scathing deathcore riffs to floaty leads to ambient synths, it’s a real standout for what the band can accomplish with genre-mashing. The real “wow” comes later though, with the gorgeously atmospheric instrumental “God Rays,” which pulls you in with some real genuine emotion, right along the lines of what Rivers of Nihil did on the latter half of Monarchy, with just as much crushing tone. Solem Vatem is an unexpected treat with much more depth than some may initially give it credit for. Many pleasant and fresh twists await, done in such a way that they still can find flow and cohesiveness within their structures. Krosis is onto something, and where they go from here has a lot of exciting potential.